The ergonomically curved form is perfectly adapted to the shape of the body and the combination of wood and black metal wires of the base add to the aesthetic value of the design as well as ensuring the stability of the chair. Each of these contemporary accent chairs is made from durable matte-finish molded plastic (except the transparent version) with an ergonomically-shaped and curved seat. There are transparent plastic tips to protect sensitive flooring. Great for Home, Office, Nurseries, Parties, Banquets, Bar and Cafe. Discover how this ergonomic gaming chair, which combines maximum comfort and a sleek racing design, can change the way you work and play. The tilting backrest, height adjustable gas lift, and supportive cushions promote a healthy posture. The height adjustable armrests allow you to tuck them under your desk, bringing your wrist closer to your mouse and keyboard which eases wrist strain. Inspired by high-performance racing seats, the sporty design helps you perform at your peak by reducing back, neck, and wrist strain, making this gaming chair ideal for long gaming sessions. This beautiful church chair will keep your guests comfortable whether you're hosting an all-day seminar, serving a 10 course meal or delivering your most inspirational sermon. This chair offers an advantage over pew seating with the flexibility of creating different seating configurations. The chair's cushioned back and 4 inch thick seat are generously padded with CA117 fire retardant foam and covered in durable fabric upholstery. The seat has a waterfall edge that reduces pressure on your attendees' legs. A convenient book pouch on the back of the chair keeps seminar materials, bibles or hymn books readily available and a book rack under the seat gives everyone a place to store their personal belongings. Built-in ganging brackets connect your chairs and maintain nice, straight rows. Its sturdy 16 gauge steel with gracefully angled legs, has been tested to hold up to 800 pounds and plastic rocker glides protect your floor by sliding smoothly when you need to move the chair. This beautiful church chair offers an advantage over pew seating with the flexibility of creating different seating configurations. The chair's cushioned back and 4 inch thick seat are generously padded with CA117 fire retardant foam and covered in durable fabric upholstery. The seat has a waterfall edge that reduces pressure on your attendees' legs. A convenient book pouch on the back of the chair keeps seminar materials, bibles or hymn books readily available. Built-in ganging brackets connect your chairs and maintain nice, straight rows. Its sturdy 16 gauge steel with gracefully angled legs, has been tested to hold up to 800 pounds and plastic rocker glides protect your floor by sliding smoothly when you need to move the chair. 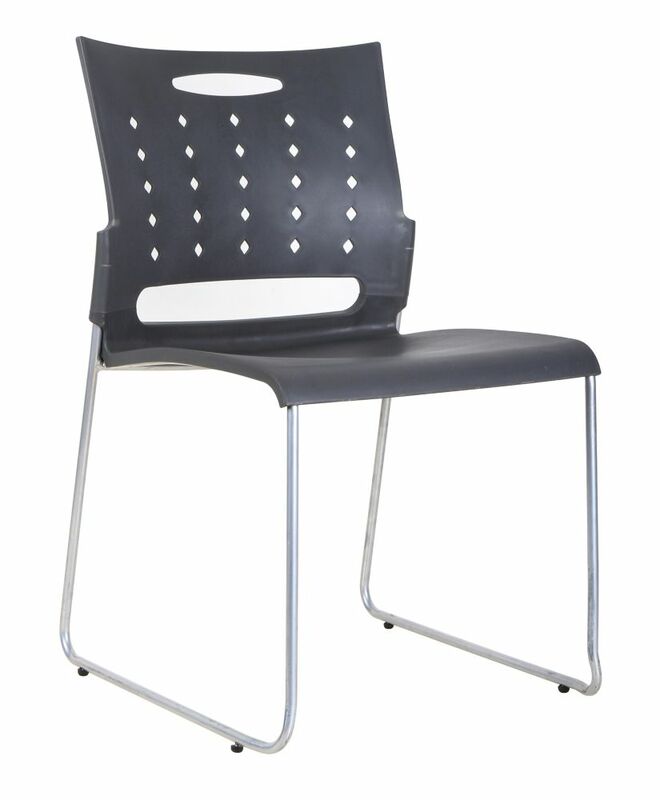 This Church Chair is an excellent option for hotel lobbies, banquet halls, conference facilities and worship centres. Mid Back Plastic Chair(4 pack in one order ) The ergonomically curved form is perfectly adapted to the shape of the body and the combination of wood and black metal wires of the base add to the aesthetic value of the design as well as ensuring the stability of the chair. Each of these contemporary accent chairs is made from durable matte-finish molded plastic (except the transparent version) with an ergonomically-shaped and curved seat. There are transparent plastic tips to protect sensitive flooring.